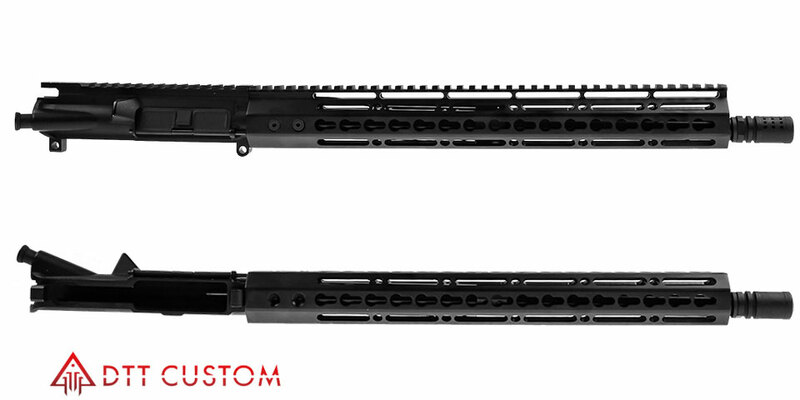 This Build Features An ELD Performance Barrel Chambered In 7.62x39mm 16" With A Heavy Barrel Profile. 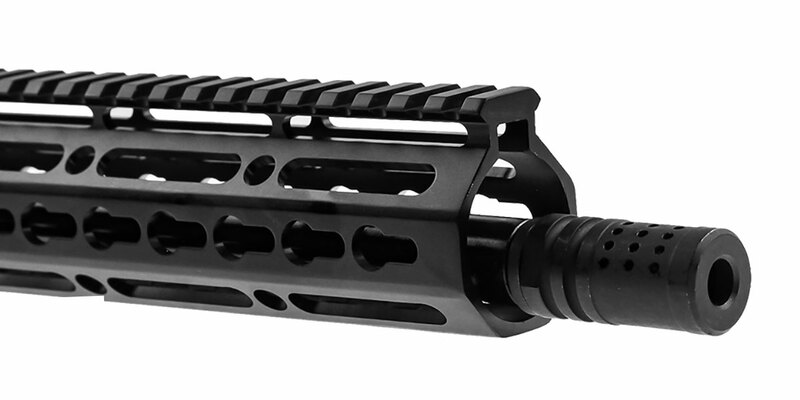 Made In The USA From 4150 CMV With A QPQ Nitride Finish, In A 1:10 Twist Then Cryo Treated Making This A Very High Quality Barrel. 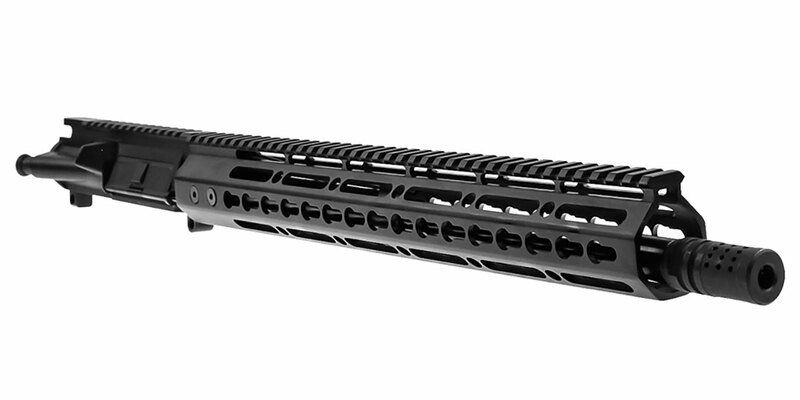 Featuring A Trinity Force 15" Professional KeyMod Super Slim 6061 T6 Aluminum Handguard. 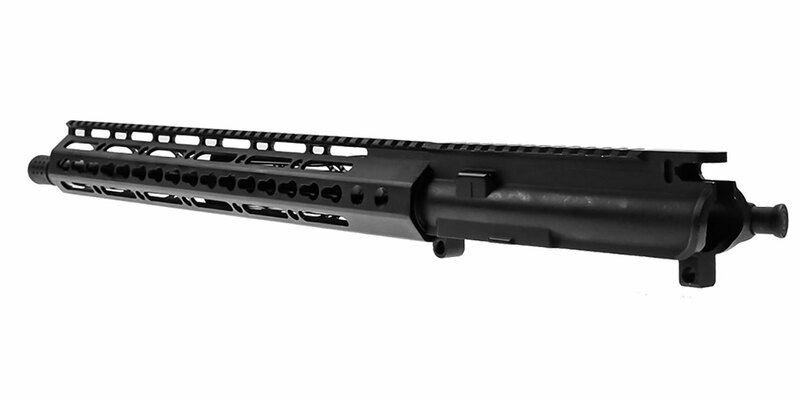 This Handguard Allows You To Comfortably Grip Your Rifle In A Variety Of Shooting Positions And Securely Mount A Variety Of Accessories Or A Bipod. Including A 5/8x24 KAK Industry Compensator, This Muzzle Device Is Similar In Function And Size To An A2 Flash Hider. The Gas Ports Help Channel Gases & Therefore Reducing Muzzle Rise Enabling The Shooter To Get Back On Target Faster For Follow Up Shots. Made From 4140 CMV Steel In The USA With Manganese Phosphate Finish Made This A Robust And High-Quality Muzzle Device.